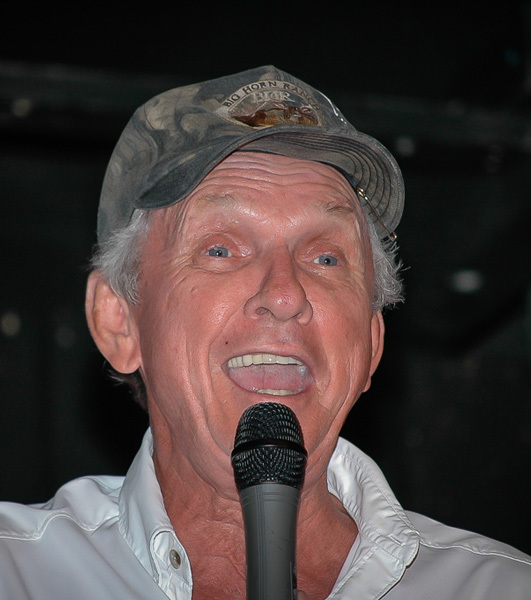 Mel Tillis was one of country music’s greatest songwriters, having penned more than 1,000 songs, many of them hits. He was also a much-admired singer and all-around entertainer with an endearing personality. Known for his stutter when speaking—but not when singing—Tillis took a personal problem and figured out how to use it to his advantage in a humorous way. He became an inspiration not only for other professional singers and writers, but also for other people with speech impediments. He is a member of both the Country Music Hall of Fame and the Nashville Songwriters International Hall of Fame. Lonnie Melvin Tillis was born on August 8, 1932, in Tampa, Florida. While growing up in the town of Pahokee, near Lake Okeechobee, Tillis contracted malaria. The disease left him with a speech impediment in the form of a stutter. But when he sang, his stutter suddenly vanished. And he enjoyed singing. As a teenager, he entered and won some local talent contests. He got his first singing job in 1951, when he performed at the Mayflower Hotel in Jacksonville, Florida, during the Gator Bowl. After graduating high school, he served in the U.S. Air Force in Okinawa, Japan, during the Korean War. Besides working as a cook and baker in Okinawa, he sang with a group called the Westerners in area nightclubs and on Armed Forces Radio. He was also writing his earliest songs during this time. Tillis developed a strong desire to pursue music as a career, which he set out to do soon after leaving the service in 1955. 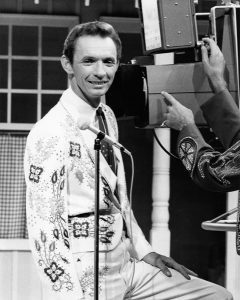 Mel Tillis on the Porter Wagoner Show. During the 1960s, a wide range of other singers found success with songs written by Tillis, and he became one of Nashville’s most sought-after writers. Brenda Lee had a pop hit with Tillis’s “Emotions” in 1961. Bobby Bare’s recording of “Detroit City” scored on both the country and pop charts in 1963. Ray Price had country hits with a few Tillis numbers, including “Burning Memories” in 1964. “All the Time” was a success for Jack Green in 1967, as was “Mental Revenge” for Waylon Jennings the same year. In 1969, “Ruby, Don’t Take Your Love to Town” was a big pop and country hit for Kenny Rogers and the First Edition. Tillis began recording as soon as he reached Nashville but initially achieved only modest success as a singer. He obtained a lot of exposure on Porter Wagoner’s television show throughout the 1960s, and in 1966 he had a top-twenty hit with his recording of “Stateside.” That song would lend its name to Tillis’s band, the Statesiders. Tillis continued his television career with frequent appearances on the Glen Campbell Goodtime Hour through the early 1970s. Mel had an obvious knack for entertainment, using his stuttering for comedic advantage, and audiences easily fell in love with him. The mid-1970s to early 1980s saw Tillis achieving his greatest success as a singer. He had a series of number-one hits during this period, including “Good Woman Blues,” “Heart Healer,” “I Believe in You,” “Coca Cola Cowboy,” and “Southern Rains.” The funny and sexually suggestive “I Got the Hoss,” which included some spoken, stuttered lines, reached the number-three spot in 1977. 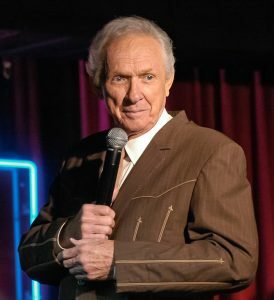 In 1976, the Country Music Association named Mel Tillis the “Entertainer of the Year”, which is the highest honor bestowed upon artists by the Country Music Association. With an audience of country-music superstars for support, Tillis sings “Coca Cola Cowboy,” which was a number-one song for him in 1979. Tillis performing a medley of “Good Woman Blues” and “I Got the Hoss” live in concert. Mel Tillis performing and cracking jokes at a benefit show at the Nashville Palace. Tillis used his gift for comedy during the ‘70s and ‘80s in several movies, many of them starring Burt Reynolds. The Reynolds’ movies included W.W. and the Dixie Dancekings (also starring Jerry Reed, 1975), Smokey and the Bandit II (again with Reed, 1980), The Cannonball Run (1981), and Cannonball Run II (1984). Tillis appeared with Clint Eastwood in Every Which Way But Loose in 1978, and with Arnold Schwarzenegger in The Villain in 1979. In Uphill All the Way (1986), Tillis teamed with fellow country artist Roy Clark to play a couple of con men. Mel also appeared in a number of TV shows during this time, such as Love, American Style; The Dukes of Hazzard; The Dean Martin Christmas Special; and The Love Boat. And he was a frequent guest on such talk shows as The Tonight Show (with Johnny Carson), The Merv Griffin Show, and The Mike Douglas Show. Tillis with Schwarzenegger in The Villain in 1979. Among Mel’s more notable releases since 1990 was the album Old Dogs, a 1998 collaboration with Waylon Jennings, Bobby Bare, and Jerry Reed. The album was nominated by the Country Music Association for Vocal Event of the Year in 1999. Also in 1999, Tillis was named by Broadcast Music Inc. (BMI) as Songwriter of the Decade. His songs have continued to be recorded by other artists, such as Ricky Skaggs and George Strait. Tillis did not become a member of the Grand Ole Opry until 2007. That same year, he was inducted into the Country Music Hall of Fame. His 2010 album, You Ain’t Gonna Believe This, was his first album of pure comedy. In 2012, President Barack Obama honored Tillis with the National Medal of Arts. Tillis doing a comedy skit called “Two Black Eyes,” from his 2010 album You Ain’t Gonna Believe This. 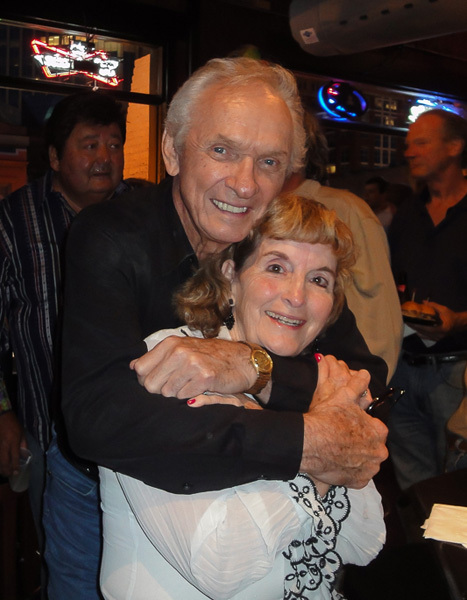 Mel Tillis and long time friend Jeanie Oakley (Museum co-founder) together at Mel’s 80th birthday bash party at Honky Tonk Central in Nashville, TN. While Tillis reduced his entertainment schedule, he increased his focus on several business and charitable interests. From 1990 through 2002, he owned and operated a theater in Branson, Missouri. He was the spokesperson and honorary chairman for the Stuttering Foundation of America in 1998. Tillis enjoyed painting, and he has sold limited edited signed prints of his work for the benefit of the Scottish Rite Foundation, which supports speech and hearing clinics. In January 2017, Tillis returned to his Ocala, Florida home after spending most of the previous year undergoing medical treatment and rehabilitative therapy in Nashville for serious colon problems and related complications. And sadly, he passed away on November 19, 2017. Mel’s daughter, Pam Tillis, rose to prominence as a country singer during the 1990s. Her 2002 album, It’s All Relative, featured her own versions of several of her dad’s compositions. Mel’s son, Mel Tillis, Jr. has found success as a songwriter. Pam Tillis talking about her father and performing his “Burning Memories” in 2010. 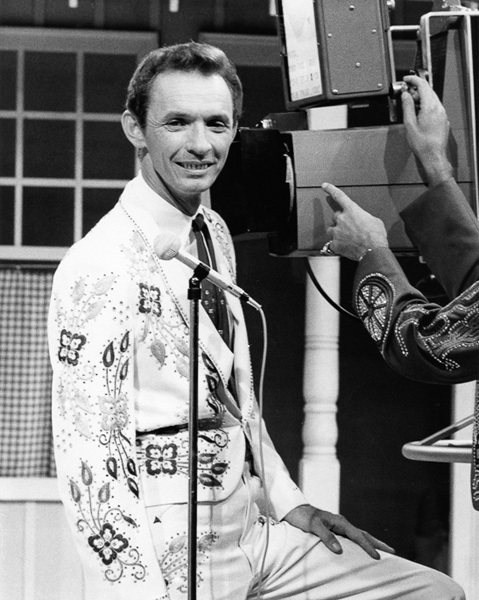 Mel Tillis, with Walter Wager. Stutterin’ Boy: The Autobiography of Mel Tillis. Rawson Associates, 1984.